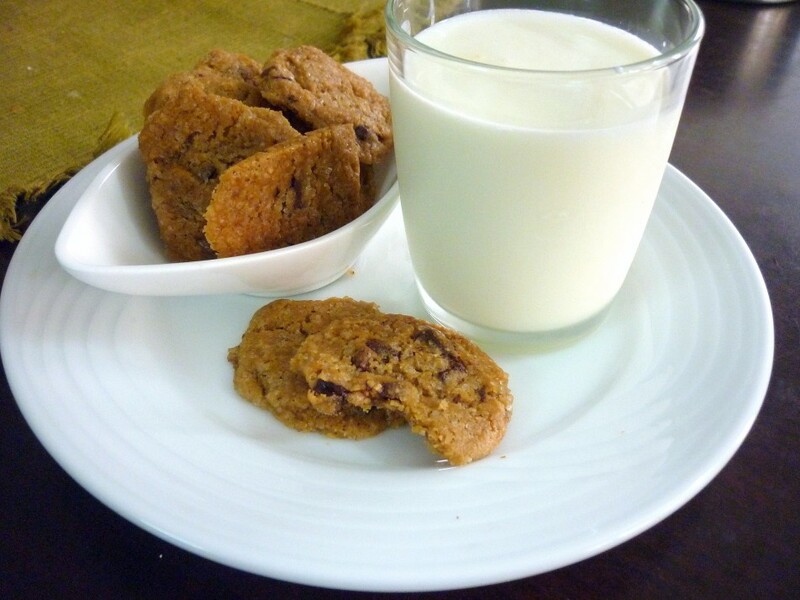 For day 4 of BM, I thought a simple chocolate chip cookie will be best as I already had too much of chocolate based cookies. I know there is nothing like too much of chocolate still for a variety I thought this should be fine. I was taking this for my nephew and nieces. When I first baked it was soft to chew and after couple of days it turned out crispy and crunchy to bite. 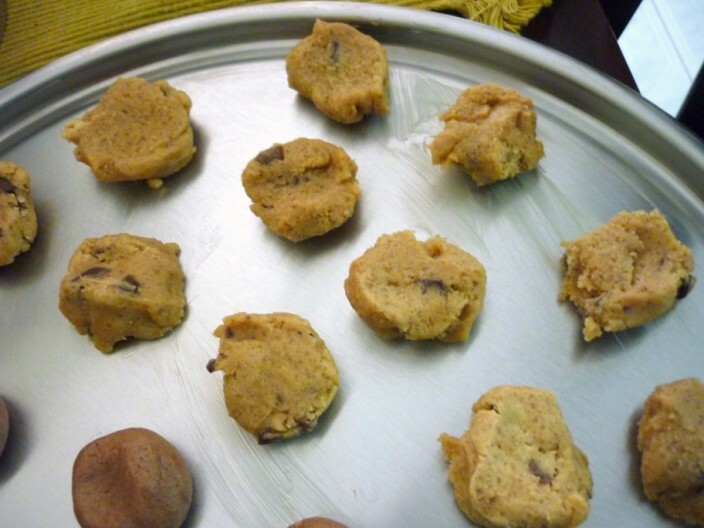 During our last BM, I was so taken in by Gayathri’s Cookies that I wanted to try them myself. I modified a bit to suit what I had on hand. As always she gives such wonderful step by step recipe that it works great to for anybody. I also had some pictures of cookies that I wanted to recreate and I tried out with this recipe, I know these didn’t look so fetching as those, still I was happy with the way the pictures turned out. We liked the fact that these were chewy and had that crunchy taste of sugar granules. And biting into those melted chocolate chunks and chips was a delight. 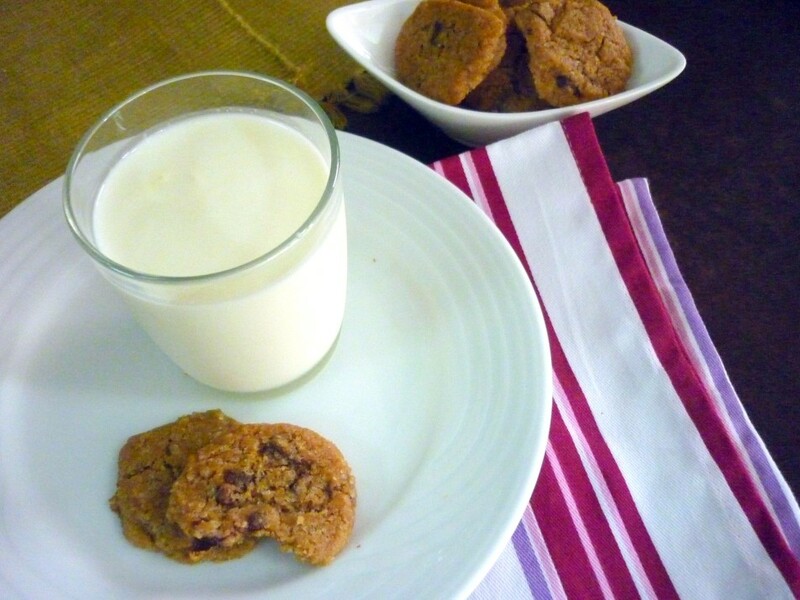 Eggless Chocolate Chip Cookies with Yogurt and Brown Sugar. Semi Sweet Chocolate Chunks 7 pieces, chopped into smaller bits. 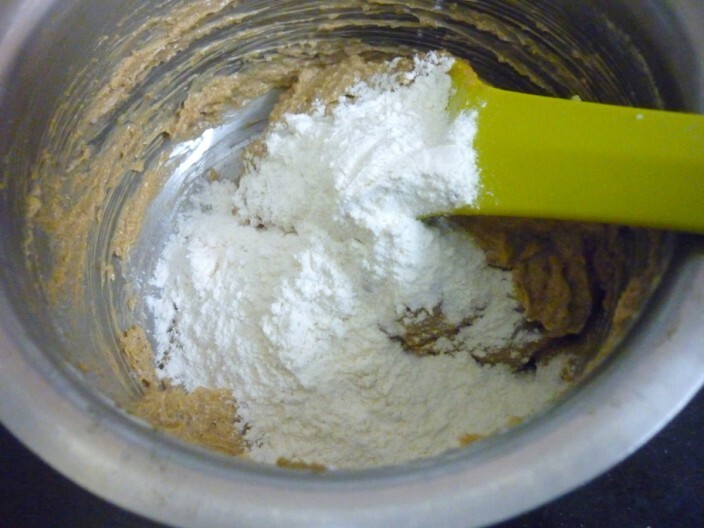 Sieve the flour along with baking soda and a pinch of salt. 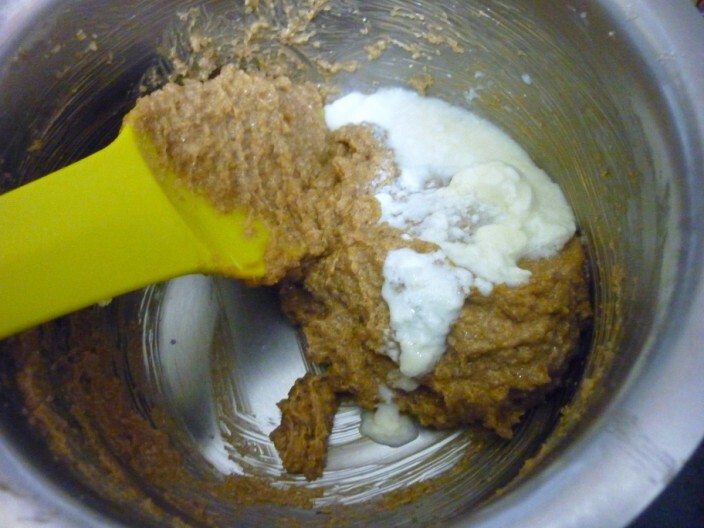 In a bowl, take the butter and sugars and cream together well till it peaks. Next add the vanilla essence, curds and beat until creamy. 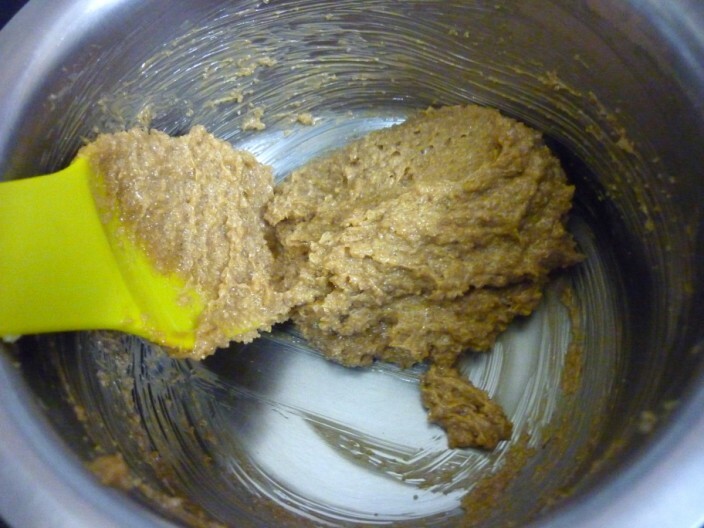 Then add the flour to the butter mixture and fold in well. Next add the chocolate chunks and chips and mix well. Refrigerate for 30 mins.Preheat oven to 185C. 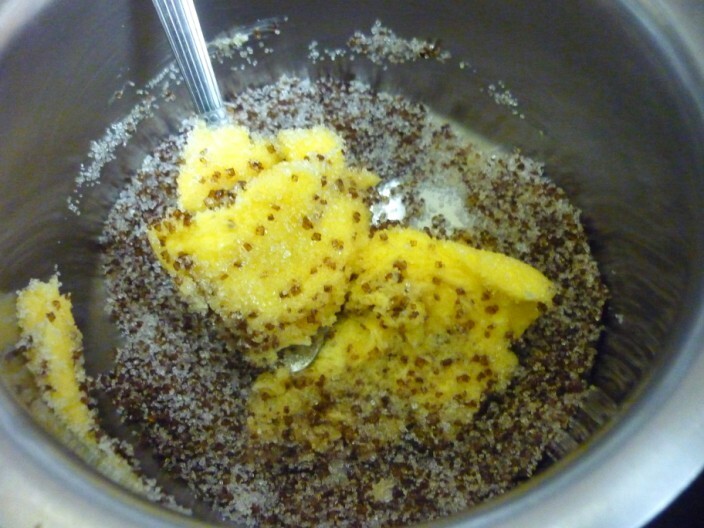 Once done, remove the dough and make lemon sized balls out of the dough and place 2″ apart on a greased baking tray. Bake for 20 minutes. 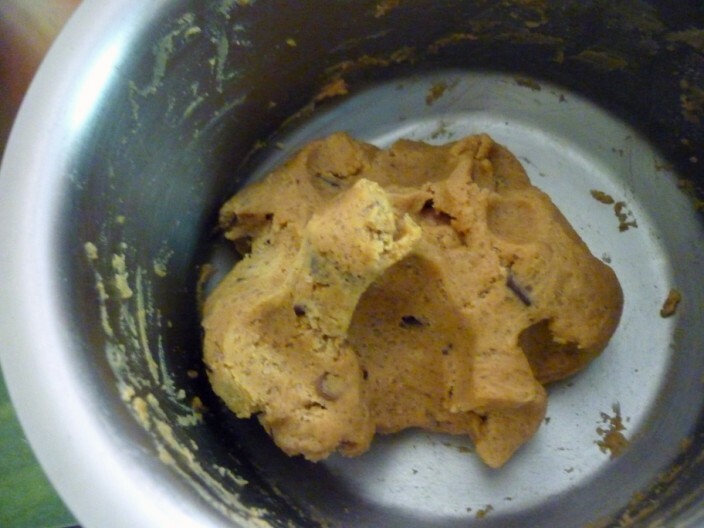 Look out for browning at the bottom of the cookie. Remove and let it cool on the tray. Store in airtight jar and serve with milk. It made a wonderful combination. If you want to use buttermilk, then 2 tsp of curds and 2 tbsp water to get 1/3 cup. The dough will be soft, so if you refrigerate it will be easy to handle. Even then the cookies tend to spread and become thin. Super nice cookies Valli.The pictures make me drool. Tell me how can we diet with all these sinful treats being posted?,,,really unfair..Valli u..m ..mmmm…they look killing!! good one! 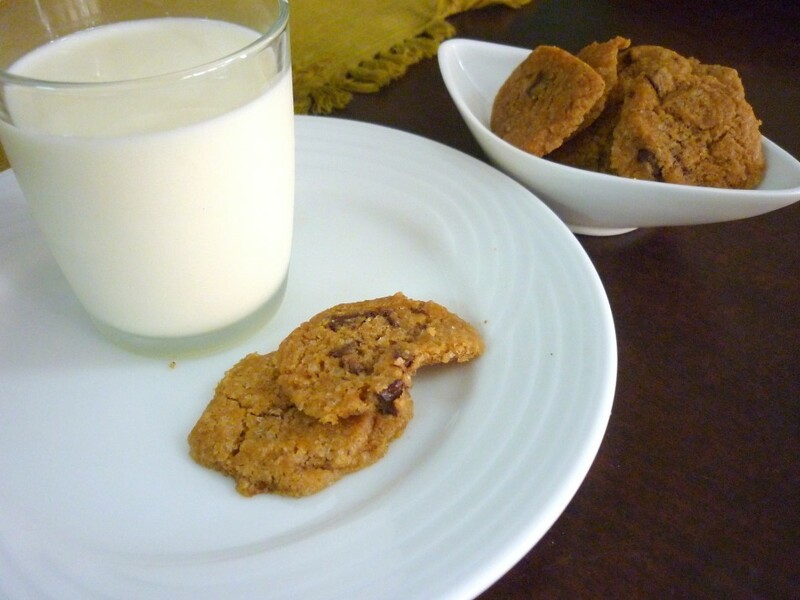 the only chocolate my older one would eat is in these choc chip cookies !! Mouthwatering here, wat a terrific and super tempting cookies.. They have come out good Valli. 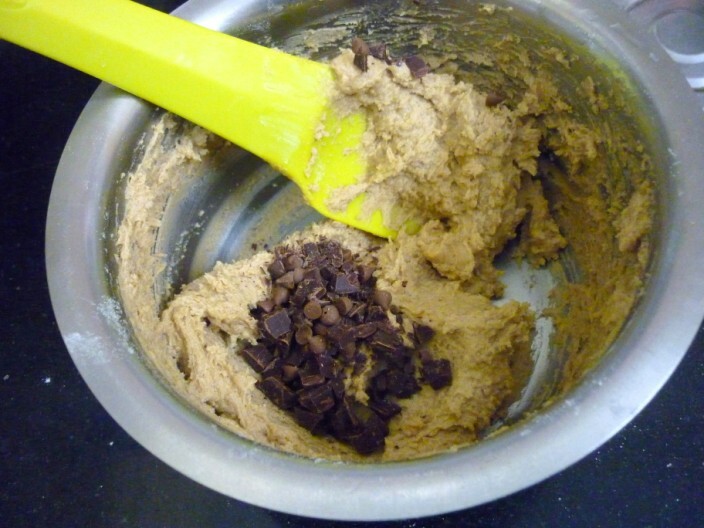 very good recipe!…who doesn't like choco chip cookies! Ur BM is jus gr8and waiting for the chocolate mela round up.Can you tell me where o get these chocolate chips and semichocolate chunks. As such i'm new to baking and your recipe collection are so useful for me.Keep it up!!! 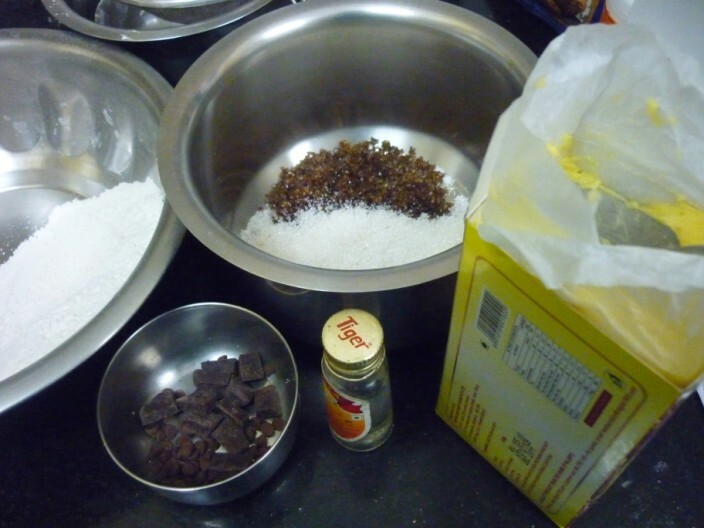 Pls tell me where can i get chocolate chips and semichocolate chunks in chennai.As such i'm new to baking and ur blog is so useful for me.Keep it up!!! Radhs Glad you like the series. I got the semi sweet chunks from US but you can get the choco chips from Nilgiris super market. They also have cooking chocolate, so you can use those instead. 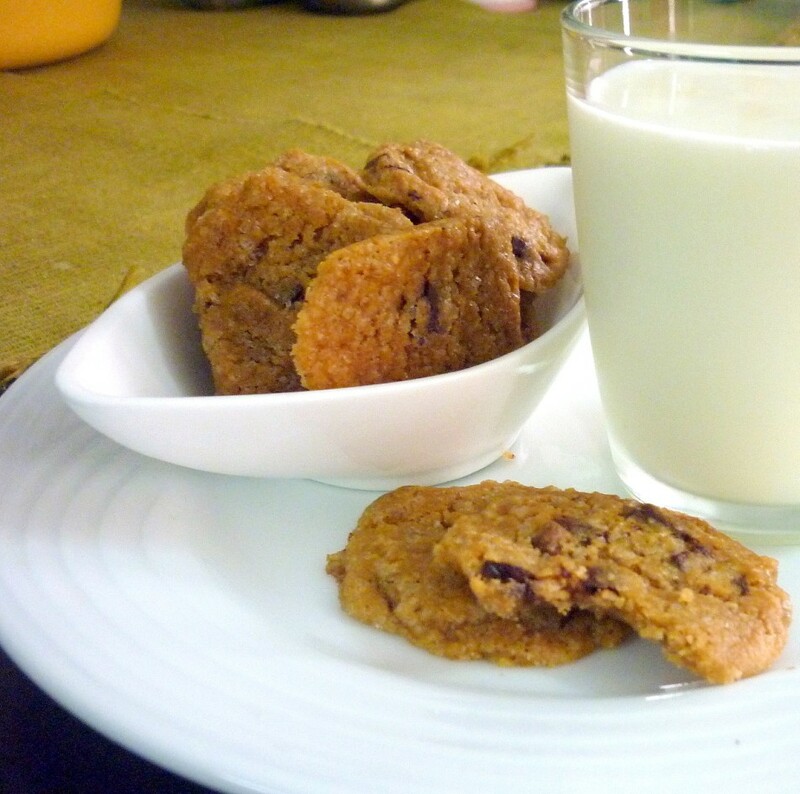 The cookies look so moist and inviting! I am thinking it is because of the addition of Yogurt!